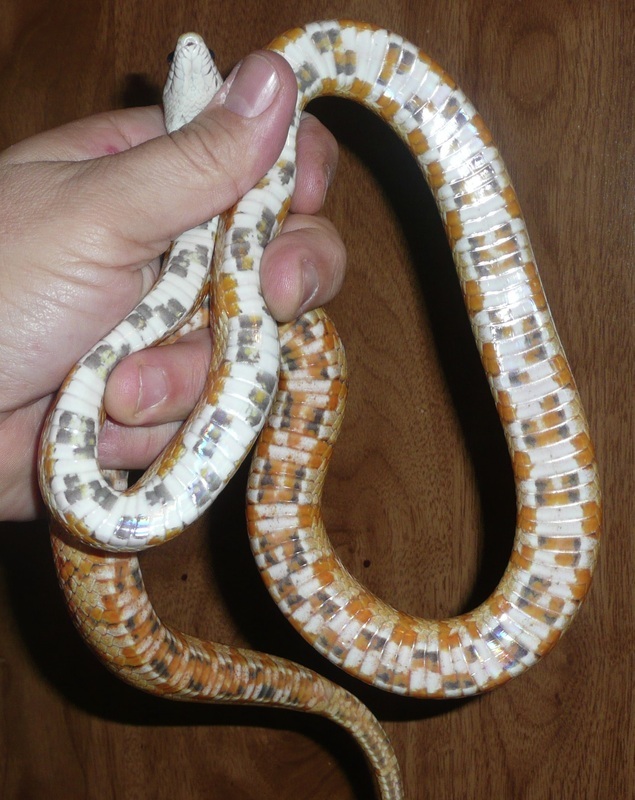 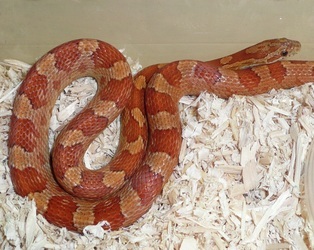 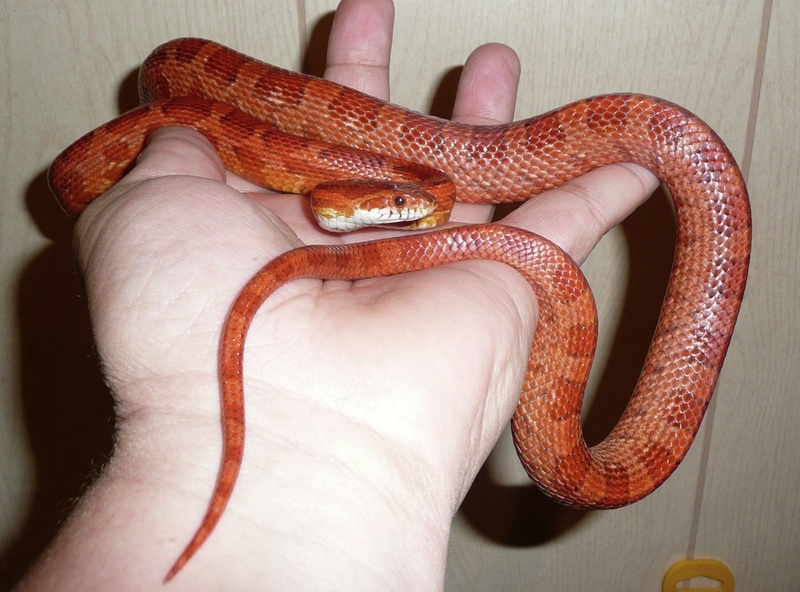 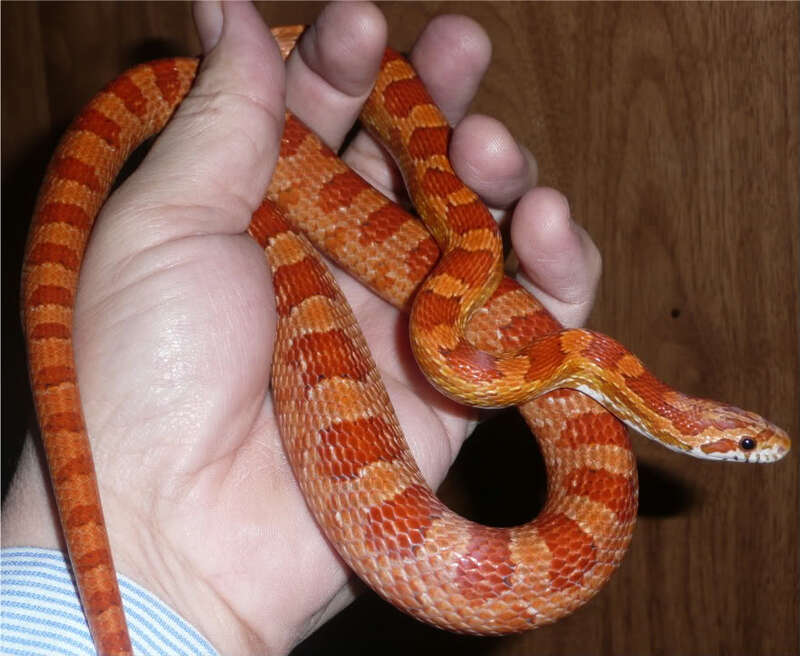 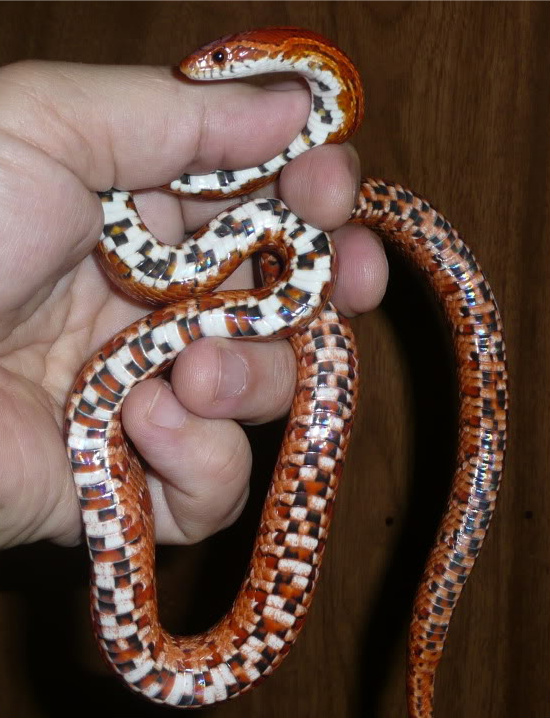 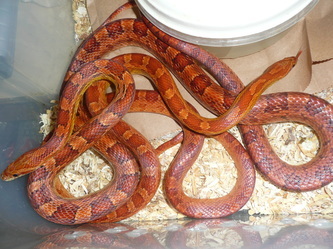 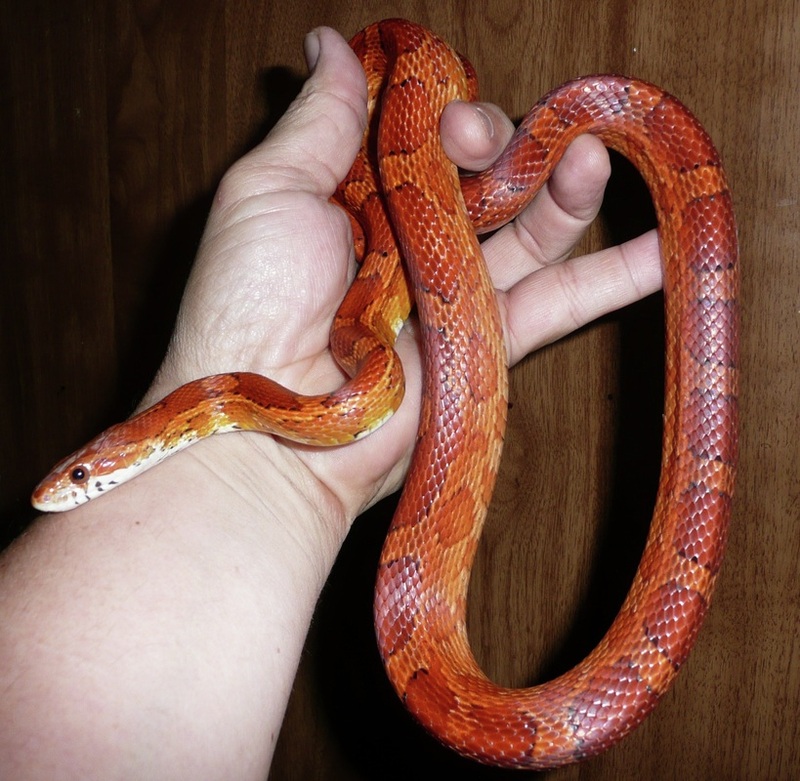 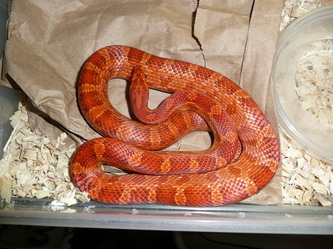 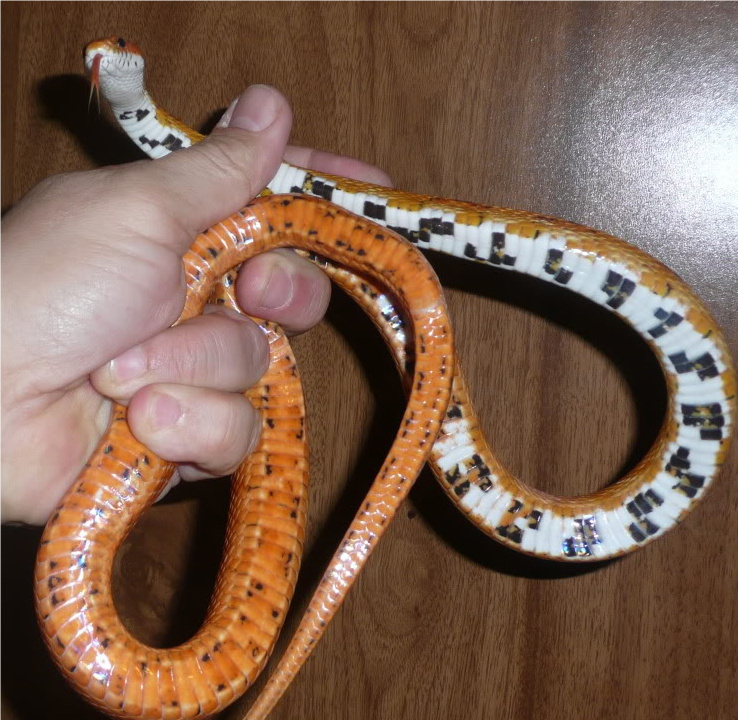 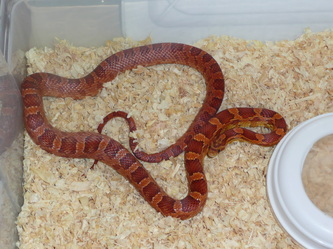 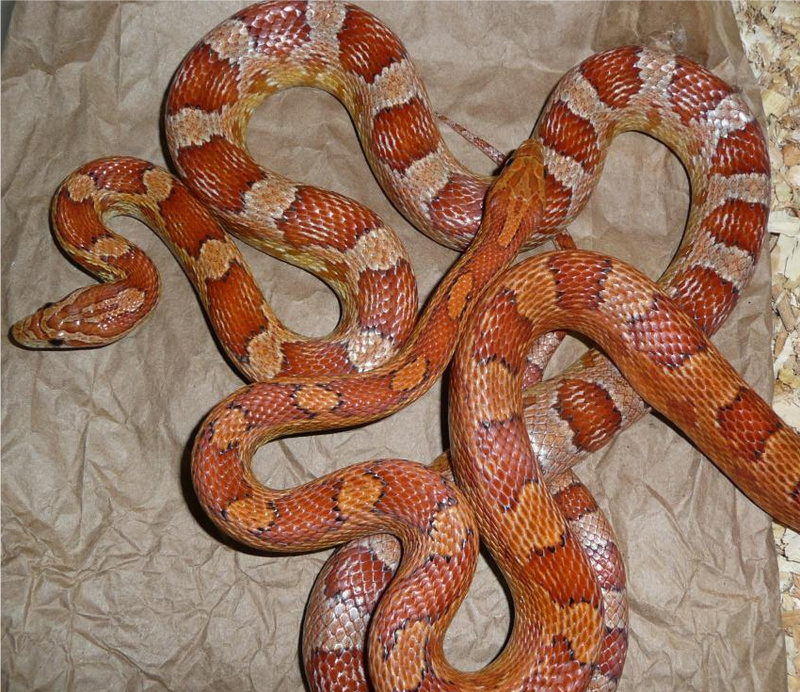 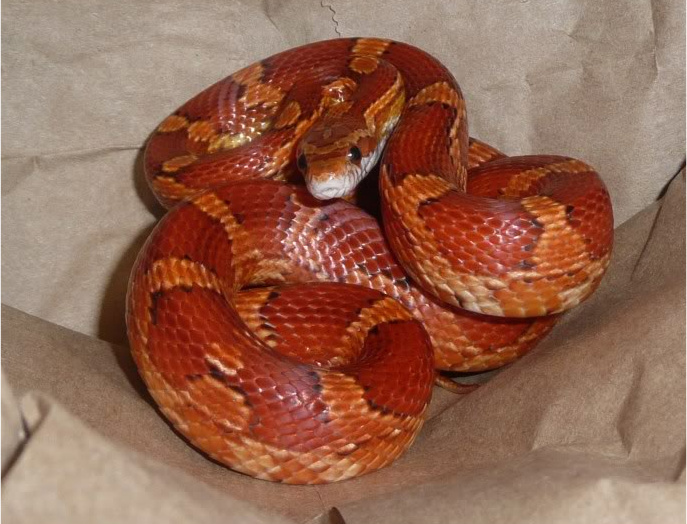 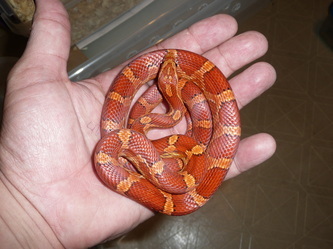 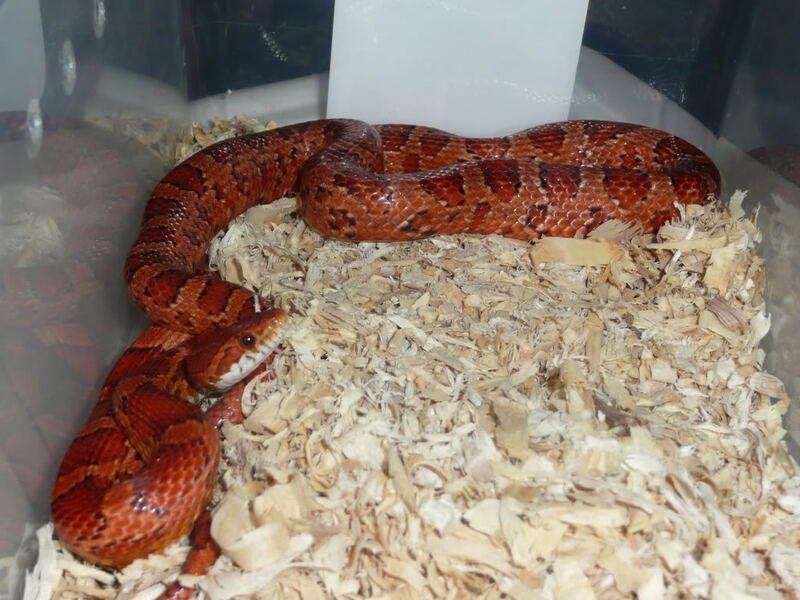 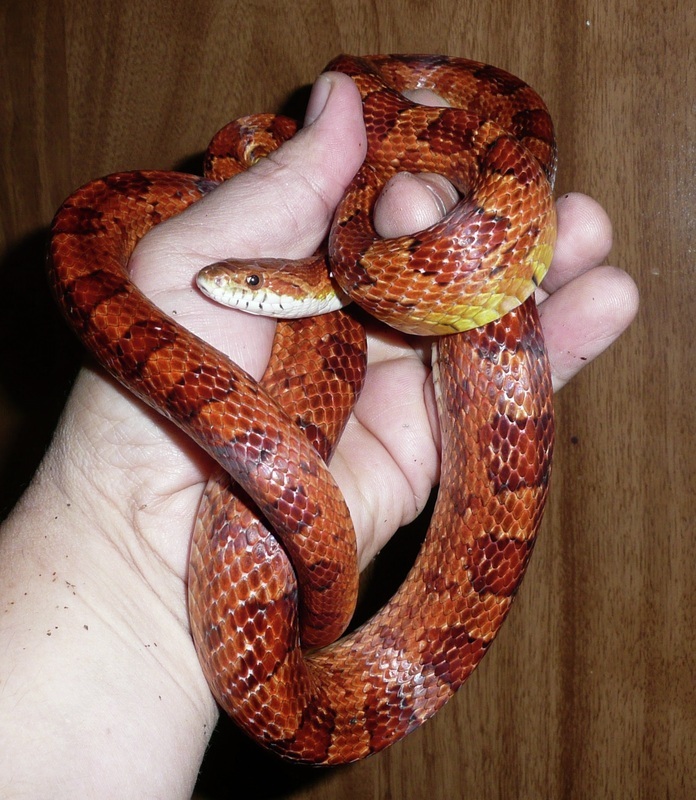 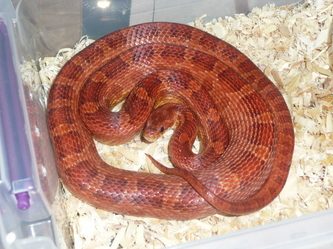 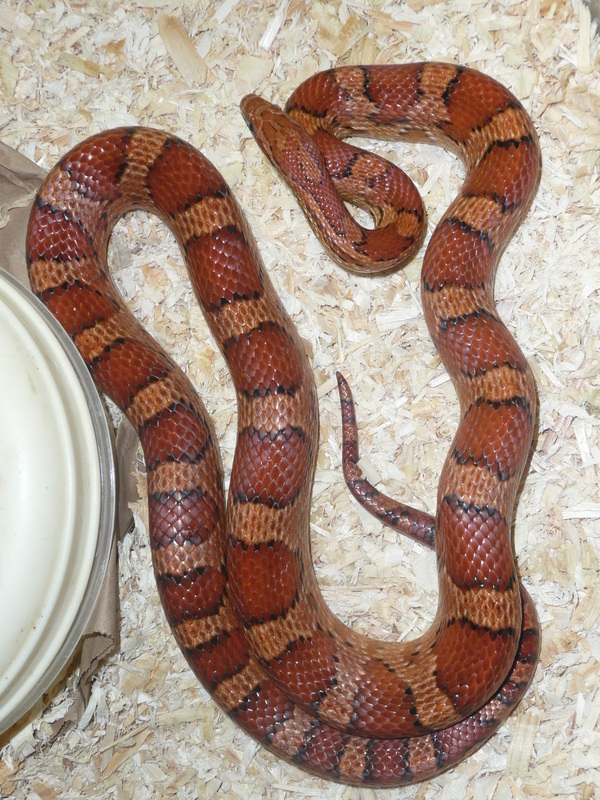 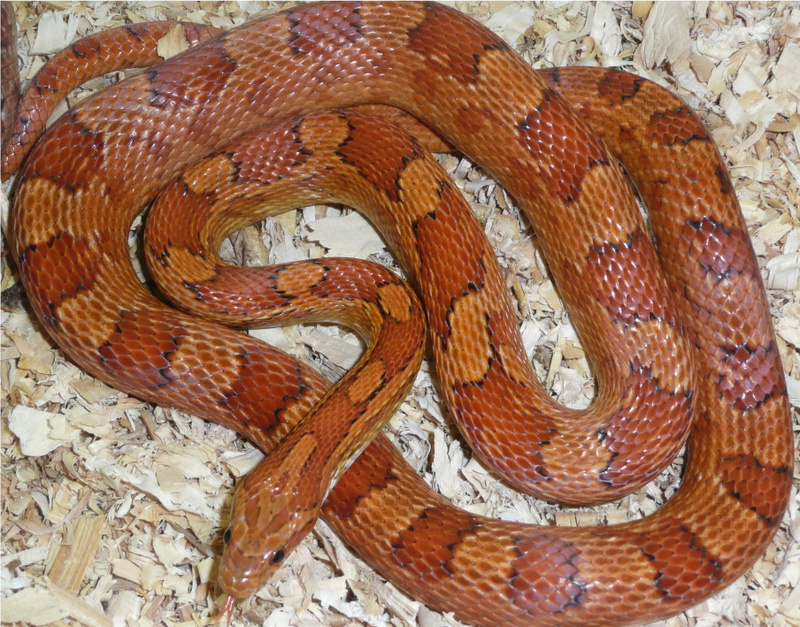 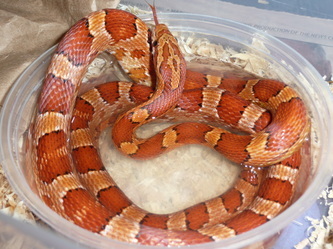 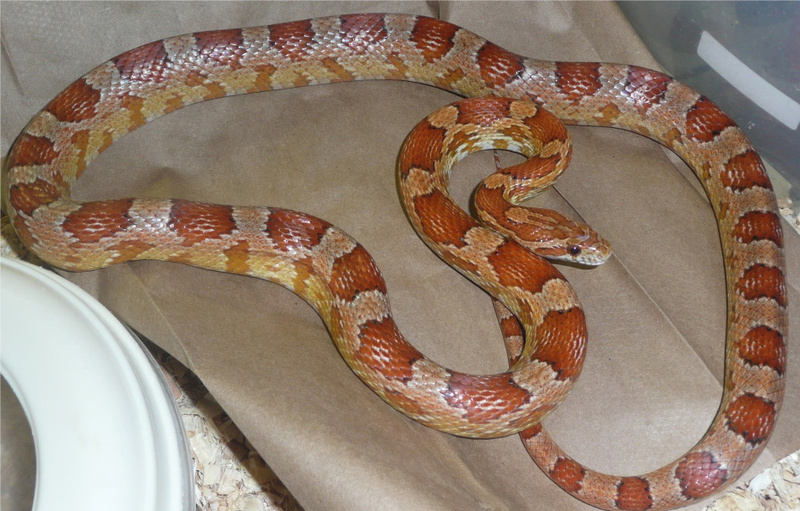 My Polk county Corn snakes are a unique group of locally collected Corn snakes which exhibit a reduction of black pattern and an infussion of red which often encrouches the belly. 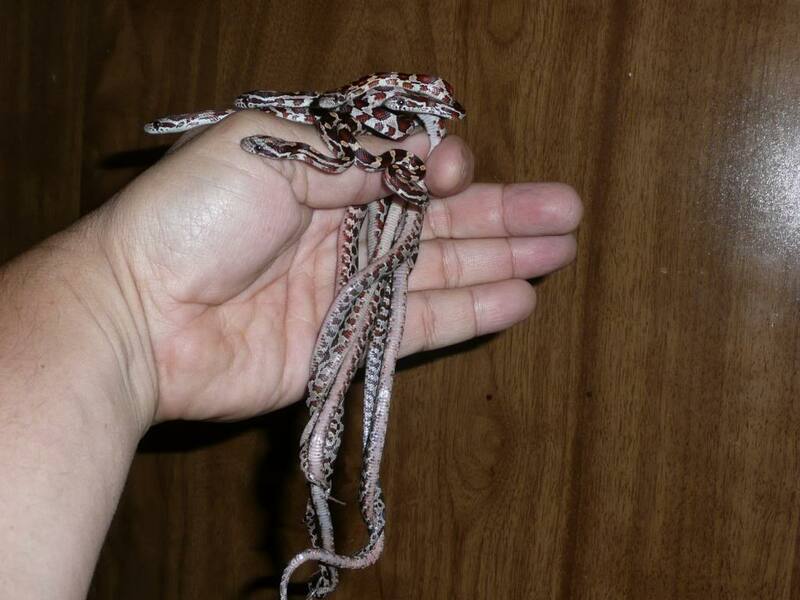 All of my Lake Wales Corns, were caught by me or by a close relative and given to me. 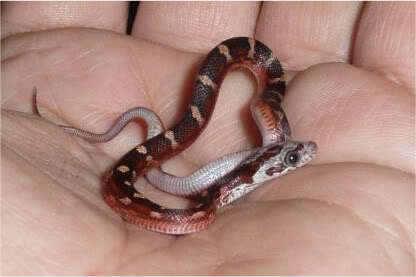 One was even found in a kitchen drawer in my house by my wife. 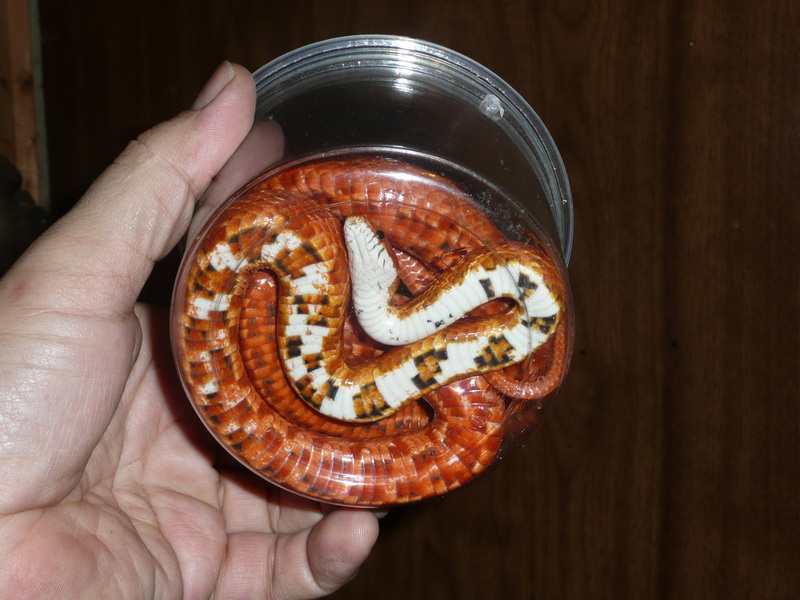 That particular snake has gone on to give some of the deepest red snakes in my collection. 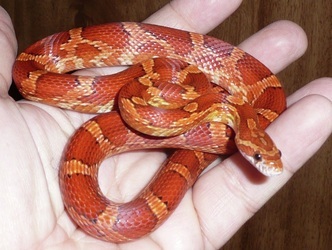 Some display an almost Amber color to them which I find very attractive. 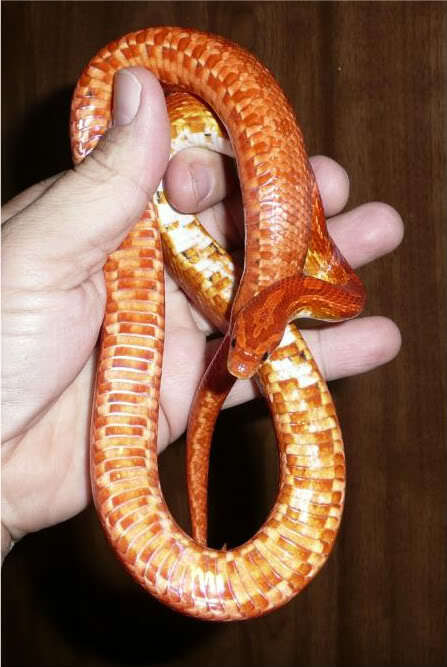 Each generation these snakes just get better and better. 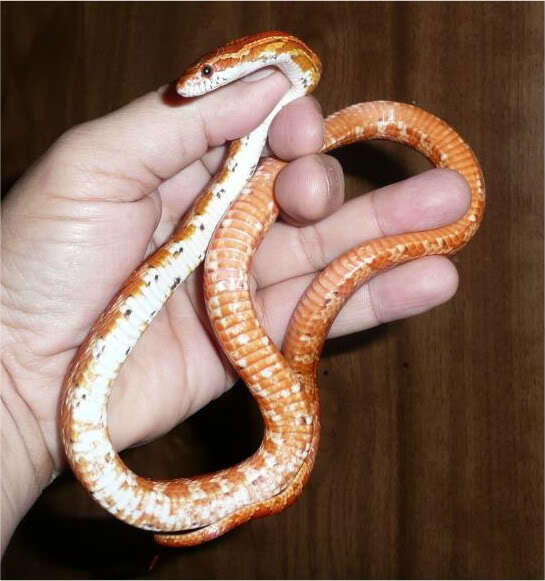 This looked like a motley bloodred? He was from the plain belly clutch, but he did not survive.